The EPAT’s Bureau of Environmental Inspection on September 25-29, 2017 held a five days’ workshop involving international exchanges of practical environmental auditing skills as part of the International Environmental Partnership initiative that was launched jointly by the U.S. EPA and Taiwan’s EPAT in 2014. 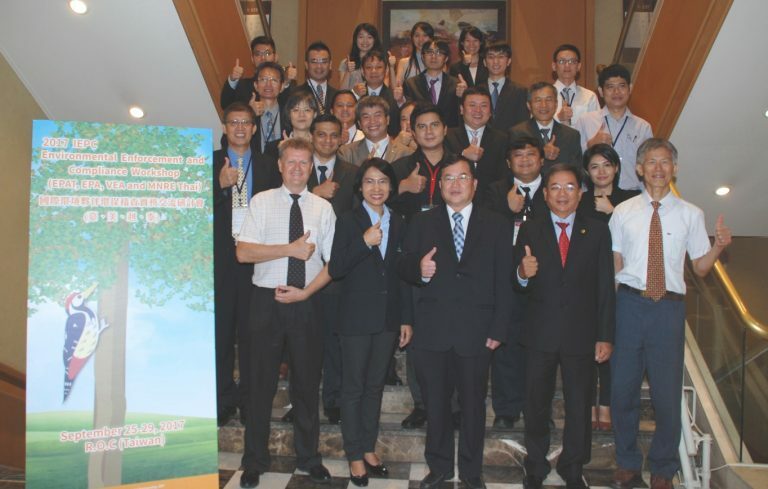 Taiwanese and U.S. environmental experts shared their hands-on experience in environmental auditing with eleven environmental officials from Thailand, Vietnam and Singapore to help promote regional cooperation in environmental law enforcement. They also visited some professional sites for demonstration of the success of Taiwan’s environmental industry.